YM Inc. is home to multiple, well-known fashion brands. The company has grown immensely over the last 40 years, from a single store into a major player on the Canadian retail stage. With each step and every challenge, we have gained knowledge and experience. The Head Office is still located in Toronto and now has around 500 dedicated employees. Two of our main objectives are recognizing efforts and rewarding results. 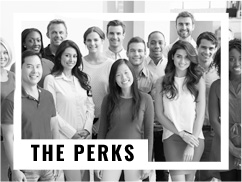 We attract and nurture the best people by providing leadership opportunities, career development and continuous learning. We have already come a long way. And now it is your turn, to join the team and become part of our success. Have you always been a marketing genius? Then this is the role for you. At YM Inc, we provide a wealth of opportunity whether it is a first job or a lifelong profession. 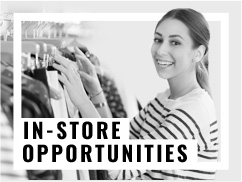 In addition, we offer career advancement as well as rewarding challenges in a fast-paced and unique environment within the ever-changing curve of fashion retail. 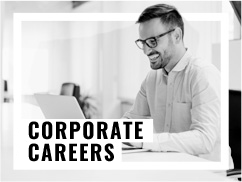 On top of that, you get to enjoy benefits like continuous hands-on training and learning programs, lucrative bonus opportunities, engaging corporate events as well as a fantastic employee discount. come up with a strategy on how to engage customers to drive loyalty, improve our email conversion and strategically grow our e-mail database. At YM Inc, we are always first with fashion. We believe that everyone should have access to clothing they love to wear. We make it our mission to not only provide the latest styles and trends, but to make them attainable and affordable. Across all our brands, we provide value for today’s trends for kids, teens and adults. Today we are one of North America’s leading apparel retailers operating over 700 stores across Canada and the United States under the following banners: Stitches, Urban Planet, Urban Behavior, Sirens, Urban Kids, West49, Amnesia, Suzy Shier, Bluenotes, Mandee and Annie Sez. By developing the best shopping experiences and offering the best retail brands and prices, we are well positioned to continue our success, now and in the future.